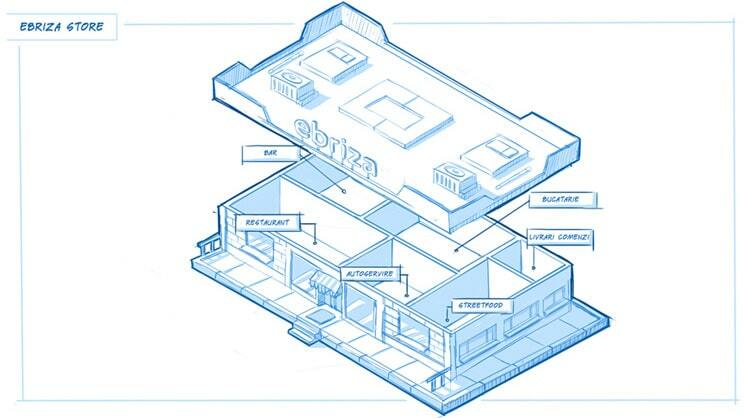 We have a long history with the founders of ebriza. All started back early 2016 when we did an explainer animation for them. The video was a detailed reveal of their product, the first cloud POS system in Romania. Since then they have come a long way and received funding from different investors, one of them being Banca Transilvania ( BT Bank ) from whom they got 300k euros earlier this year. Creating custom illustrations to strengthen your brand! Since one of our main focuses is creating illustrations, they approached us and asked for help. 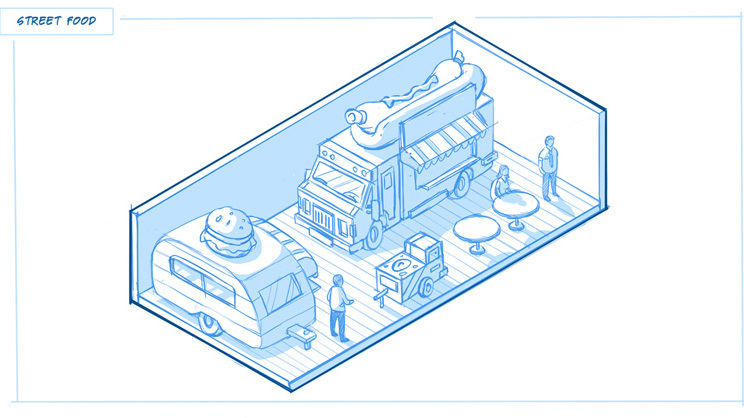 They needed custom isometric illustrations for their new website and other presentational materials, so we got to work. As always we started with a brief and a to-do list of what we needed. After all, things written down, the sketching phase was next. When sketches were approved, the fun part started. 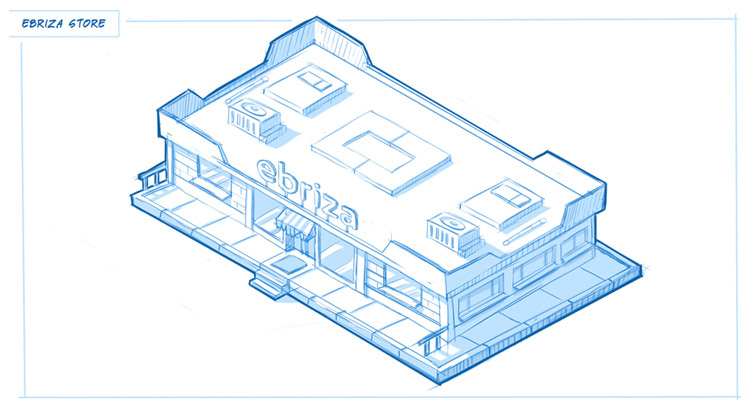 Creating a custom color scheme, grids and everything necessary to keep consistency for all illustrations. Everything had to look cool, but also to be recognizable, so people immediately know what was what. We did, all kinds of HORECA scenes, from a restaurant, to a barber shop, to a supermarket. All done in Adobe Illustrator, so we have some nice art, which is scalable without losing any quality. In a noisy marketplace where there is a lot of competition, illustrations can help to strengthen your brand and to help you stand out. People process visual things better, they remember it better than written words, so this way you can capture their attention. Illustrations are personal, created for you, they can enhance your message, so it’s a good thing to introduce them to your strategy. Need and advice or help for your illustration work? We probably can help you out. Get a free quote here.